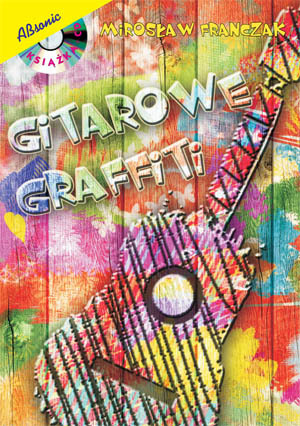 “Guitar graffiti” consists of three collections of works for classical guitar – “Fairytale Suite” op. 23, “Guitar graffiti” op. 24 and “School bagatelles”op. 25. The compositions refer to traditional and contemporary musical forms and are always of a programmatic character. The pieces differ in style, difficulty level, techniques, while the common element is the expressive melodic. All these features make both beginners and advanced guitarists find something interesting in this collection. The collection includes a CD with Grzegorz Skiba playing the guitar.